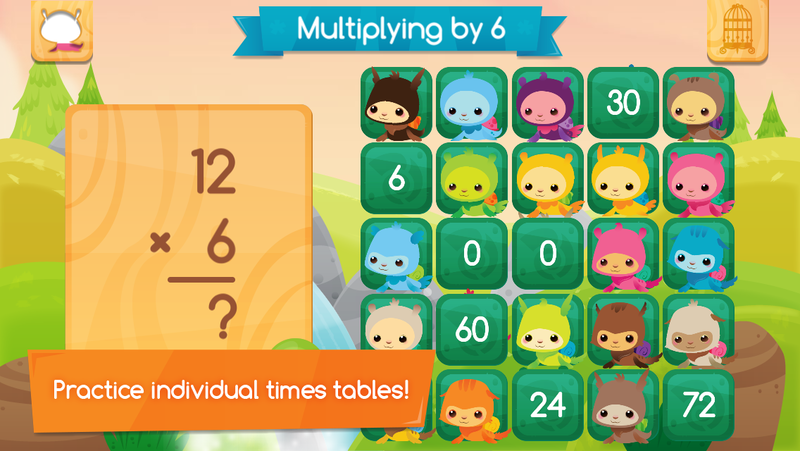 Our Back to School tech guide continues with a bevy of the best math apps for kids of all ages. There are so many fantastic options these days — almost too many to count (ha) — so we’ve done the digging for you to uncover lots of the best math apps including a few old favorites from these pages, and plenty of new additions. 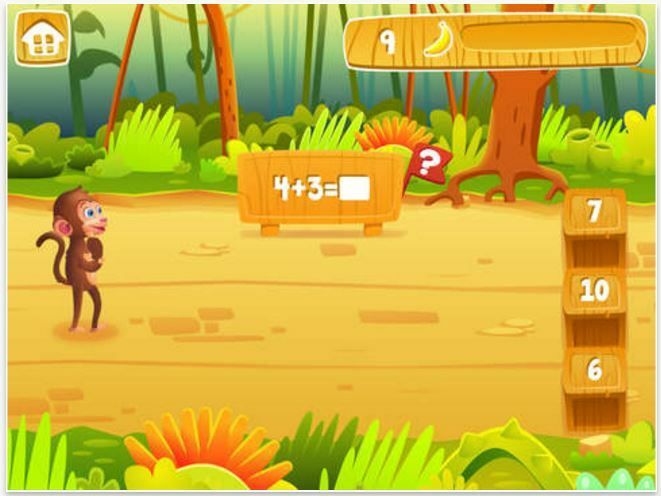 It’s by no means comprehensive, so be sure to see our post on the best math apps of 2015 for even more ideas. One thing you’ll notice about this list — the belief that math can and should be fun, especially when you’re first learning. 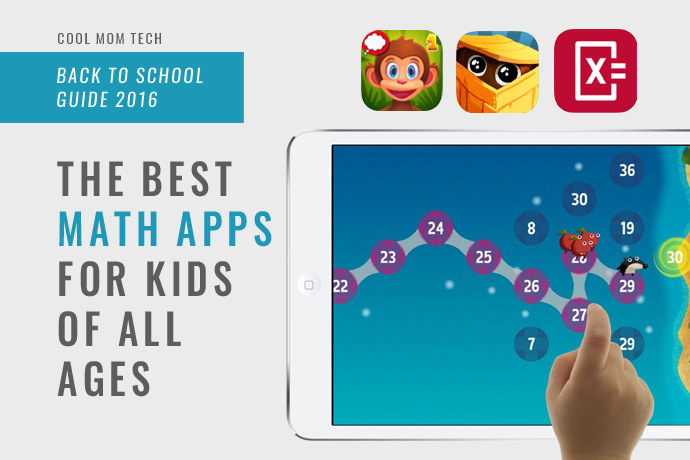 Hopefully, with the help of these apps, your kids will agree. Your preschooler won’t exactly know what it means to “use a math app,” so an app that employs games to engage numeric skills is the way to go at this age. As the name suggests, the app is designed for preschoolers and younger kids just learning the basics. 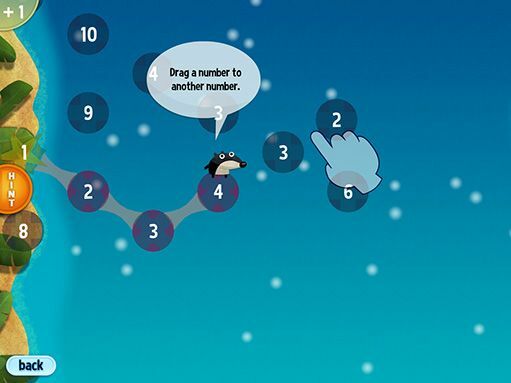 Little hands will enjoy tracing numbers, and a fun connect-the-dots activity to reinforce those counting fundamentals. Using space ships, boats and cars, little ones can play nine different games that reinforce math basics and skills likes like counting, number tracing, simple addition and more. 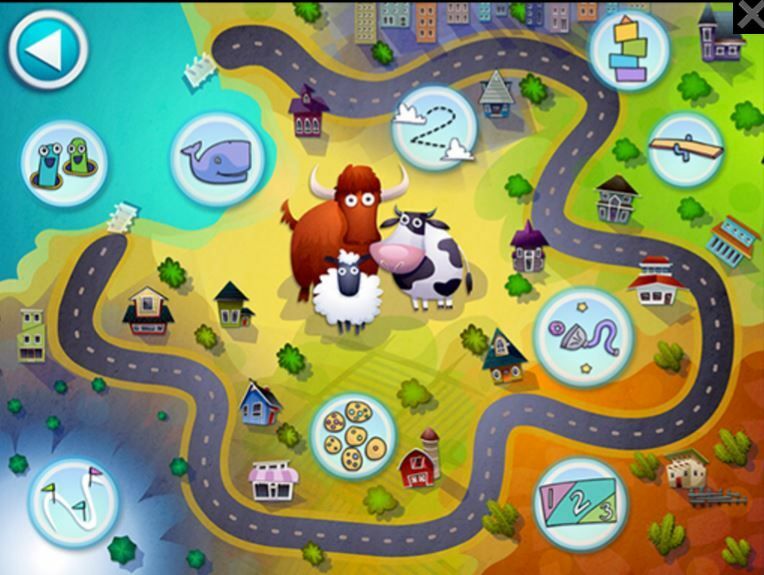 The games, like feeding whales and balancing animals on a see-saw, are really cute and help solidify kids’ 1-10 skills. Splash Math offers a series of apps for kids up to fifth grade, but I’m partial to this one for counting, addition and subtraction. 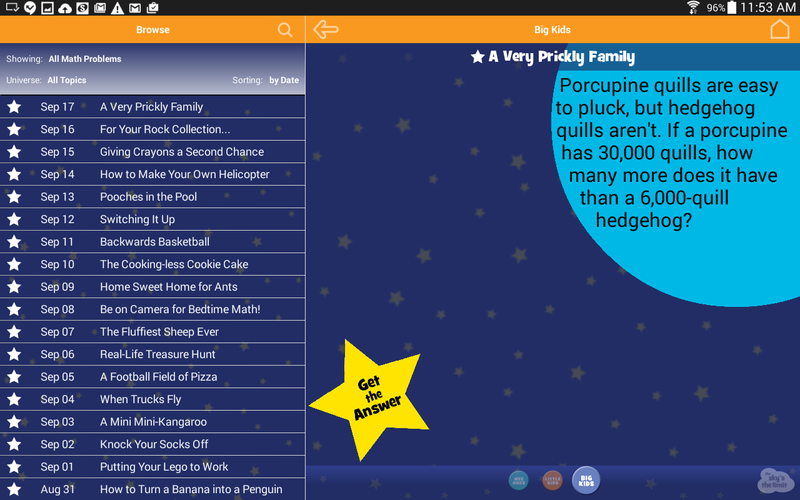 The app centers has a cute jungle theme with Madagascar-like characters to keep kids’ attention through eight chapters. Kids work through them sequentially; you need to master the counting, before you progress to concepts like addition. It feels more like a full curriculum than random games thrown together, which explains the higher cost. I think it’s worth it, but there is a free version of Splash Math, if you want a preview before making the commitment. 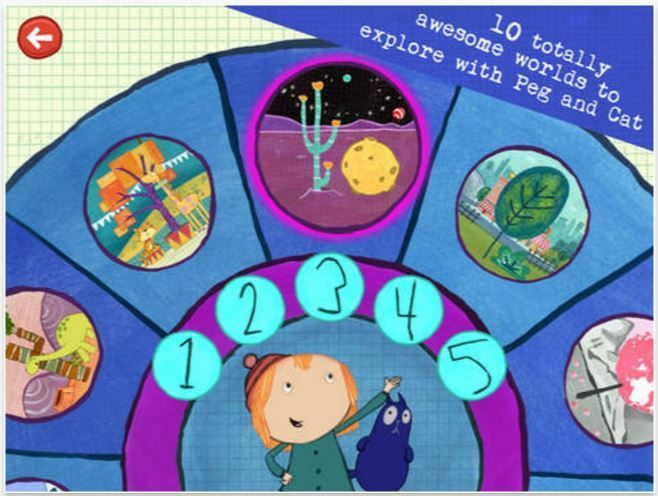 Fans of this popular PBS KIDS show will love this app which teach early math concepts, especially with the help of the friendly faces of Peg and Cat. Based around certain challenges like lining up monkeys at the circus, arranging meteors and stacking snowballs, straight numbers take a backseat to fun and games. Think of this as a game of hopscotch with numbers and addition. There is a roadmap you follow, and you can only progress when you add correctly, counting by ones and twos, up to twelves. What makes Jump Numbers even more entertaining is the goal of saving adorable “Snortles” who need to find their way back to their volcano home. It may sound easy, but wait until you get into the 100’s. 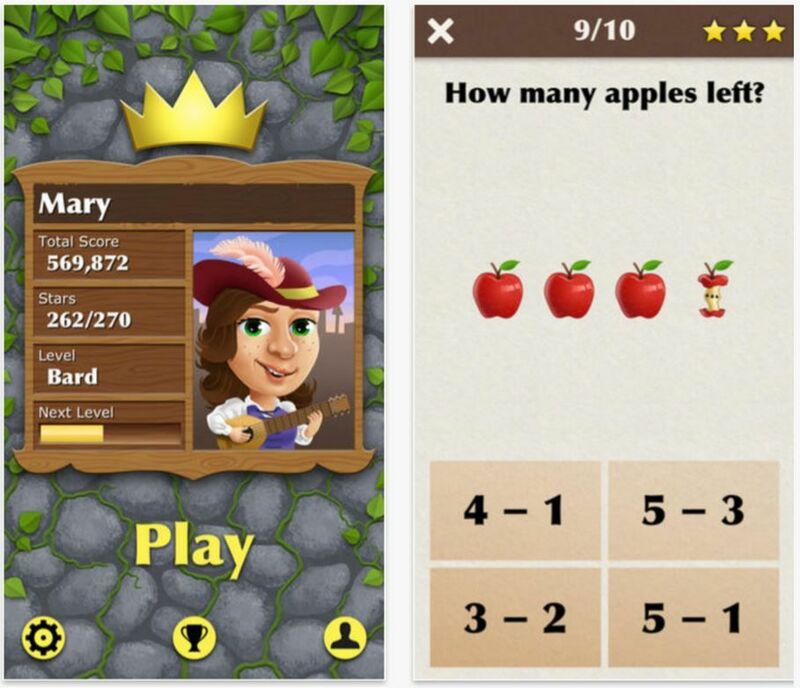 This fun app lets your child strive to be a king for the day, all thanks to (you guessed it) math. Slowly work your way up the medieval ladder by completing progressively harder math activities. It’s fun to watch your your total score increase as you go from farmer, to bard, to knight all way up to king. And yes, girls can be kings too! There are plenty of exercises in each section — 90 questions in the counting section alone — making this one kids won’t put down so quickly. 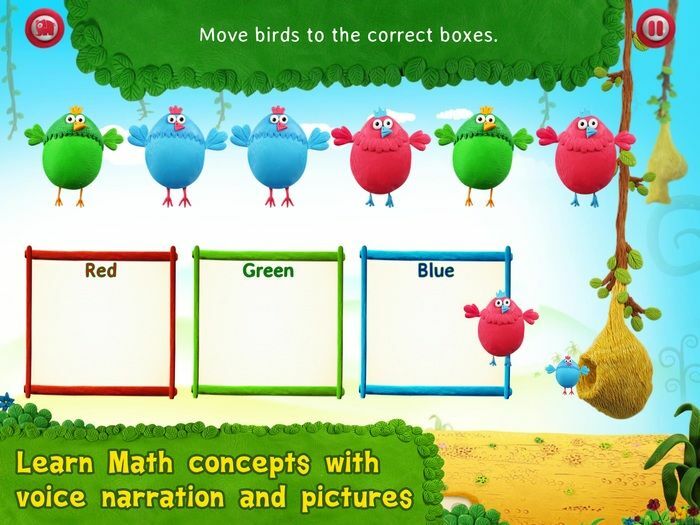 We are fans of lots of apps from developer Duck Duck Moose including this newer option devoted to teaching math concepts. Pet Bingo tests kids’ math knowledge in a visual way, featuring a traditional Bingo board that can only be filled in by answer questions correctly. There’s a Report Card feature for parents to track progress, but the best part, of course, is when your kid gets to yell out BINGO! 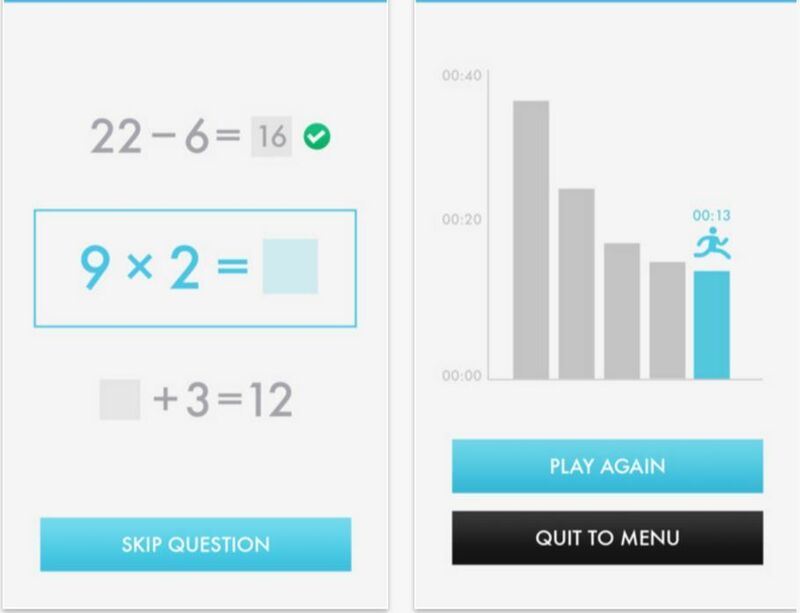 For kids who want to test their skills against a ticking clock, Quick Math improves arithmetic fluency and keeps those neural math connections sharp with a series of quizzes. The app tracks user progress and speed, monitoring how your child is improving as the problems get harder. 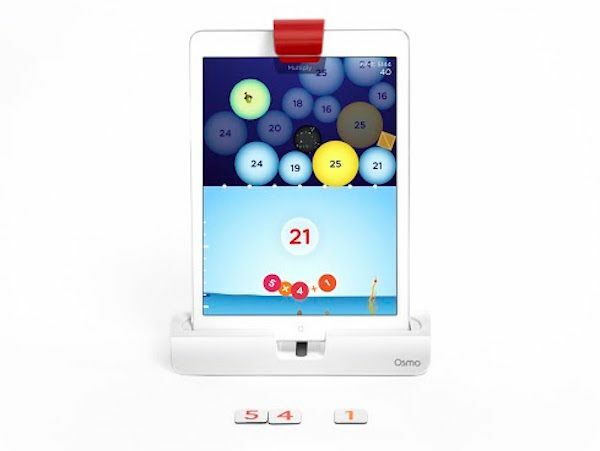 If you have the Osmo Starter Kit for your iPad, the Numbers for Osmo game add-on is a must-have math app that mixes tactical play with digital technology for an incredible all-around learning experience. The app kit comes with numbered tiles that kids must arrange on the screen and connect in order to answer math equations — all in the setting of an underwater world of fish. Hopefully a dragon and medieval icons will make an intro to advanced algebra a little less daunting. 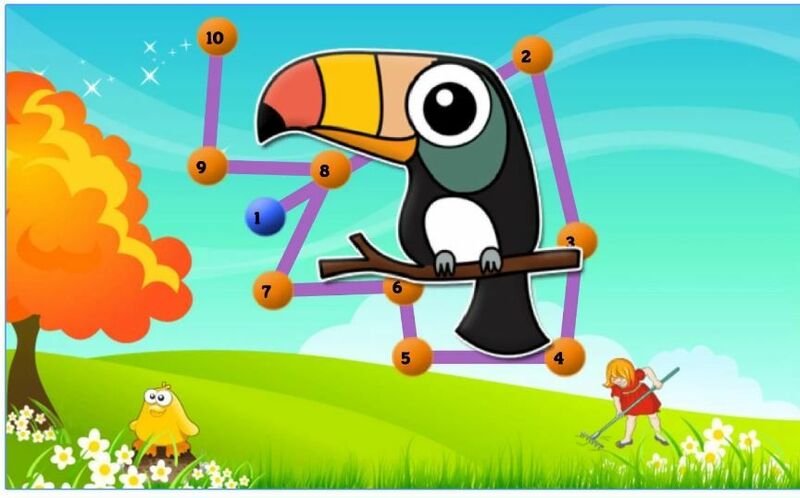 Algebraic concepts are demonstrated here in a step-by-step visual way, thanks to cool graphics and backgrounds. 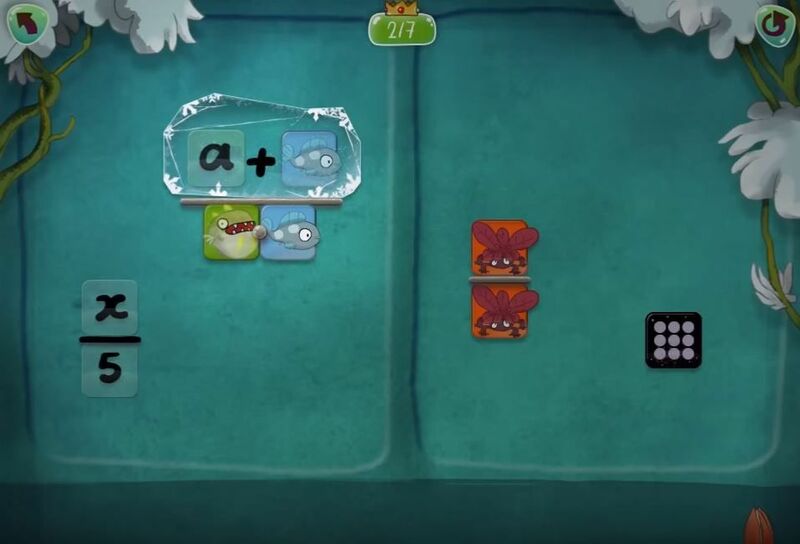 Each level presents an equation that kids have to solve before unlocking the next, and the gaming factor is terrific motivation for kids to continue using DragonBox, making it an easy addition to our best math apps for kids list. 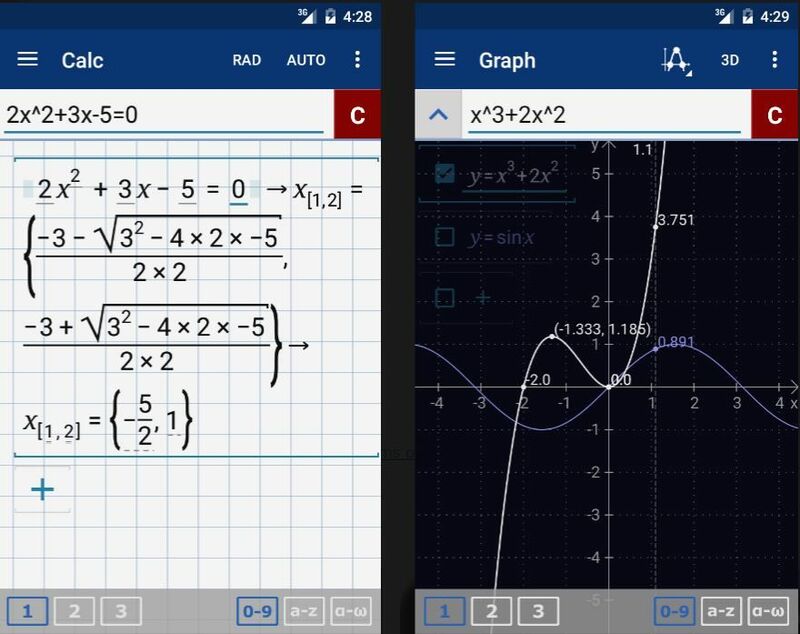 If you take a photo of any math equation, this amazing app will solve it then provide you with the step-by-step solution. Amazing, right? That said, for students, we definitely recommend it as more of a “checking the answer” app, and not one to do your homework for you; but it’s a great option if your child needs math help and it’s not your own strongest subject. 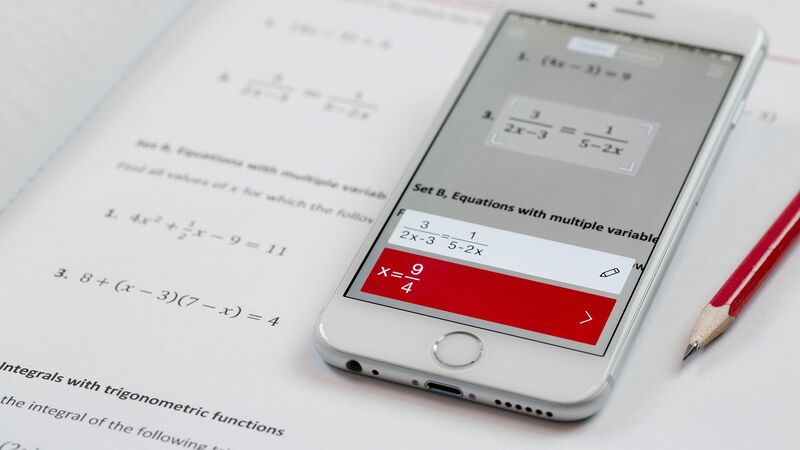 Photomath can solve everything from arithmetic to trigonometry problems making it extremely valuable as your kids get older. Remember those clunky graphing calculators those of us of a certain age had to lug around, back in the day? No need anymore thanks to this handy app. The algebraic prowess of the MathLab Pro Graphing Calculator is impressive, as is its ability to handle complex equations, fractions, derivatives, slopes and all that fun stuff that I should understand much better than I do now. This is a handy one to have downloaded, to help with those complicated math problems in high school and into college.